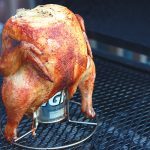 Try this bbq dry rub on your favorite chicken, pork, or fish recipes. 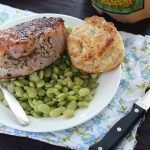 A variety of herbs and spices will add extra flavor to all your meat dishes. I’ve nicknamed this homemade spice rub the “cabinet door spice rub” because until recently, I had it taped to the inside of my spice cabinet. That’s where I keep all my recipes I make frequently so I don’t have to flip through a cookbook or scrounge around for the recipe every time I want to make it. The only reason it’s no longer hanging there is because over time the tape that affixed it to the cabinet door lost its sticky and it fell off. Sometimes I like to season my food with something a little more complex than just salt and pepper. 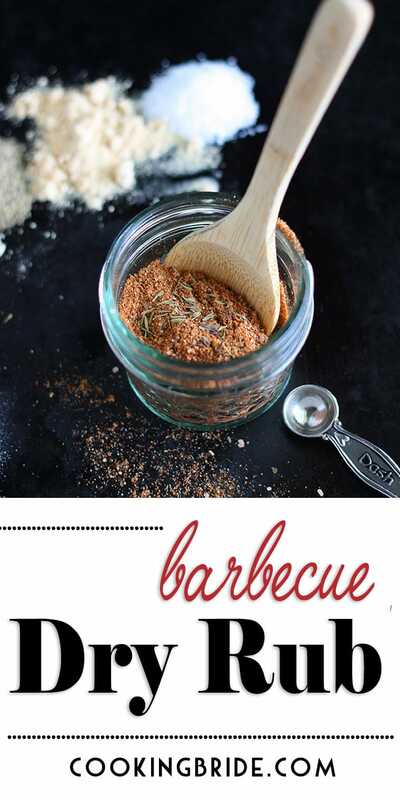 This is a very versatile spice rub that works well on white meats such as chicken, pork, and fish. 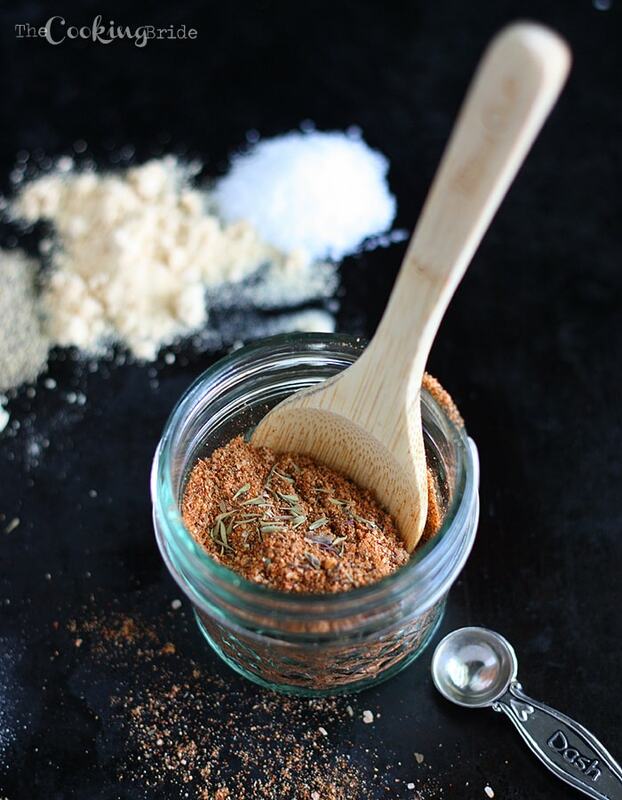 Most of the ingredients are spices already on hand in your cupboard. 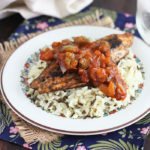 I use it to to add some extra flavor to barbecued chicken, as a seasoning for blackened catfish, I rub it on ribs before putting them on the grill, and also to season the outside of these yummy herb pesto rice stuffed pork chops. I have to keep the heat level on this at a minimum because of my littles. 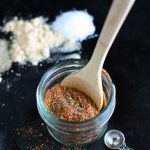 However, if you wanted to amp up the spiciness, toss a 1/4 – 1/2 a teaspoon (or more depending on your tolerance) of cayenne into the mix. Combine all ingredients. 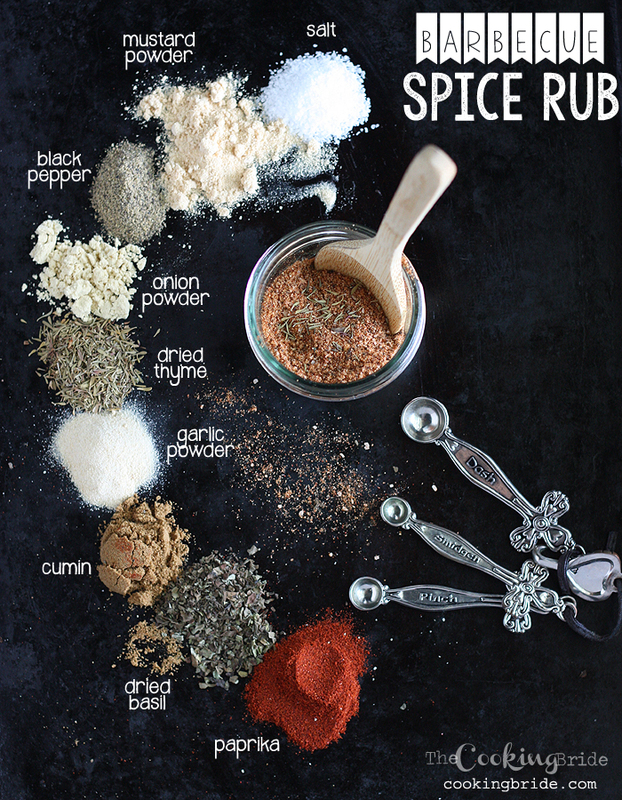 Store any remaining rub in an airtight container.